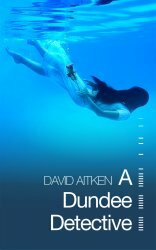 The hero of David Aitken’s A Dundee Detective, Scott Learmont, was recruited by British Intelli-gence while still a postgraduate student of Mandarin Chinese and Classical Arabic, ‘two of the world’s most impenetrable languages for a foreigner to learn.’ He has had an interesting career, in the course of which he was posted at various times to Iran, Hong Kong, Singapore, Kuwait and Afghanistan. Now Learmont has returned to his native Scotland, bought a house by the sea, and set up in business as a private eye. He possesses many of the attributes required of a shamus – ‘curiosity, objectivity, a private income.’ He is also the sole surviving member of the Scottish family that provided Russia with its greatest lyric poet, Mikhail Lermontov. The novel opens with a northbound train surging out of low hills as the rising sun collides with the high girders of a railway bridge. The only two passengers in the First Class compartment are an elderly Chinese man, Cliff Kwan, and his nephew Ringo. They have travelled to Britain because one of Cliff Kwan’s nieces (both of whom are students at a local university) has gone missing. In the course of the ensuing investigation, Learmont uncovers drug racketeering, sexual manipulation, blackmail and finally murder. He has to deal with a corrupt professor, a hapless young pusher, two faux-bald attackers intent on breaking his legs with a rolling pin, and a jogger who carries a garrotte. With some help from his friends, Learmont triumphs over those who wish him harm. Cliff Kwan departs on a southbound train. Check it out on Amazon Books Ltd.